Heurist is live on Dribbble! — Heurist - the brand developers. you are here: back home. › our-thoughts › Heurist is live on Dribbble! Heurist is now on Dribbble! 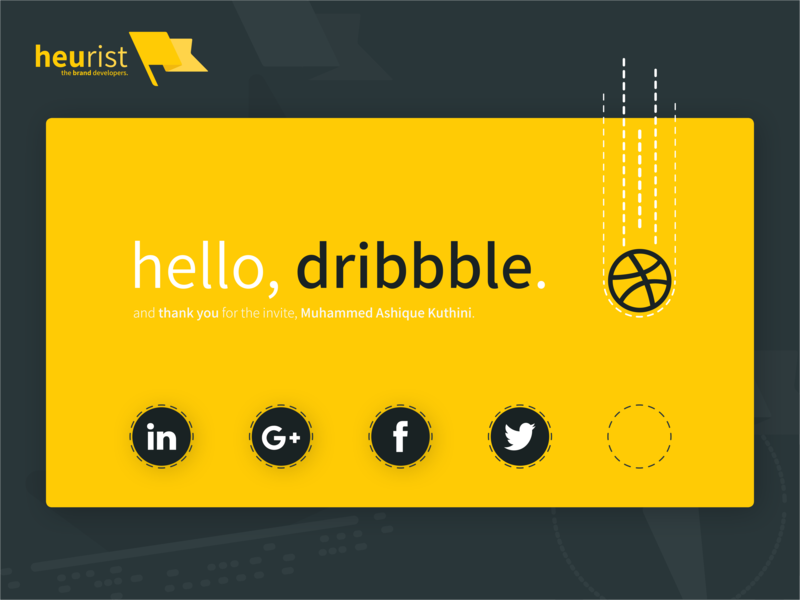 After a long while waiting, we've finally been invited to join the Dribbble community. And we're more than eager to contribute. For those of you who don’t know, Dribbble is an invite-only community for designers everywhere. Basically, you get invited to share your best design work for the world to see. And we managed to land an invite. Why it's awesome to be a part of Dribbble. What’s most exciting for us is that we’ve always looked at Dribbble as a source of inspiration for our design work. It truly is an honour to be invited to join the community that inspired our designs in the first place. The pressure is now on to make the most of this opportunity to give back to budding designers around the world who, like us, are no doubt surfing the big pink basketball for design inspiration. You want to have a look at our stuff, don't you? Saying no won’t stop us from showing it off. Check out some of our work on our Dribbble portfolio here and, as always, let us know your thoughts at hello@heurist.com.au.